spas and resorts architecture and design surveys habitable and welcoming temporary accommodation around the globe, looking at contemporary projects and the diverse materials and unconventional forms employed in their construction. 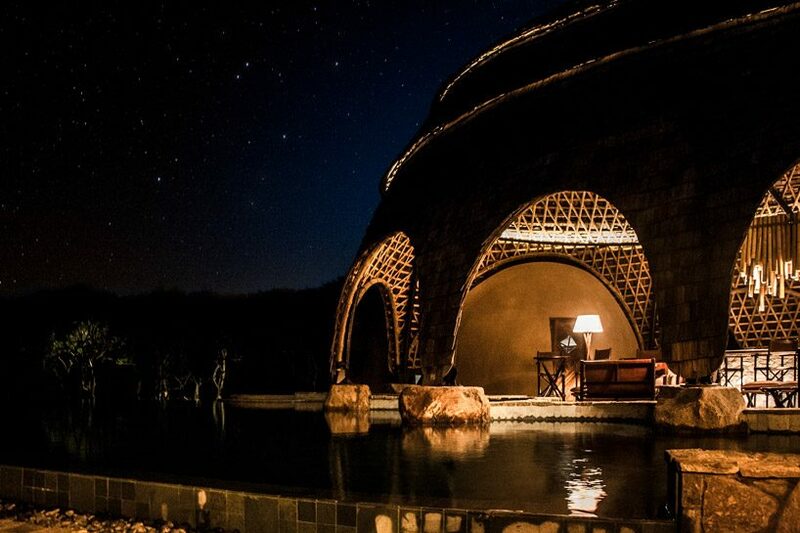 nomadic resorts in collaboration with bo reudler studio have teamed up to design and construct the spectacular wild coast tented lodge – the safari camp is the first of its kind in sri lanka. 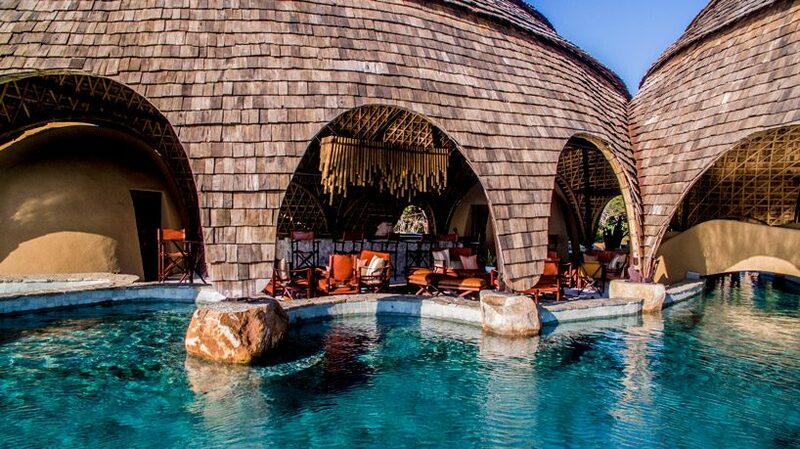 located on the edge of yala national park in the south of sri lanka, the eco-resort welcomed its first guests in november 2017. the multidisciplinary team created the 36-tent safari camp for resplendent ceylon, a subsidiary of dilmah tea, whose unique resorts offer curious travellers diverse experiences linked to sri lanka’s history, culture and nature. 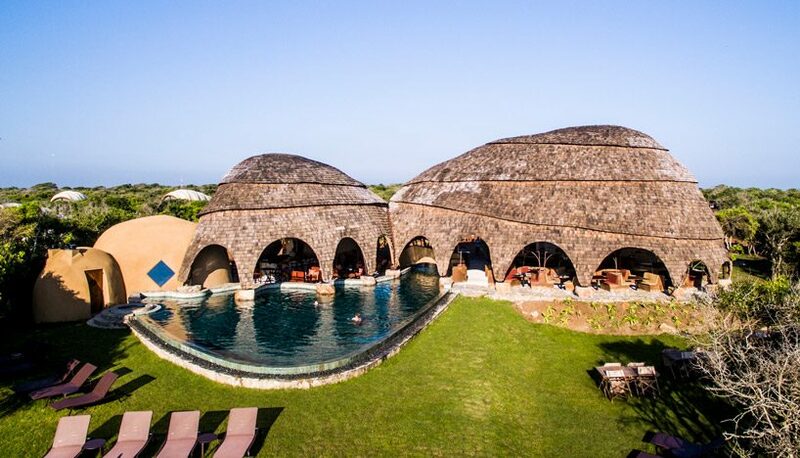 the camp’s organic architecture integrates seamlessly into the site, which comprises dryland forests that merge into the rugged sandy coastline overlooking the indian ocean. 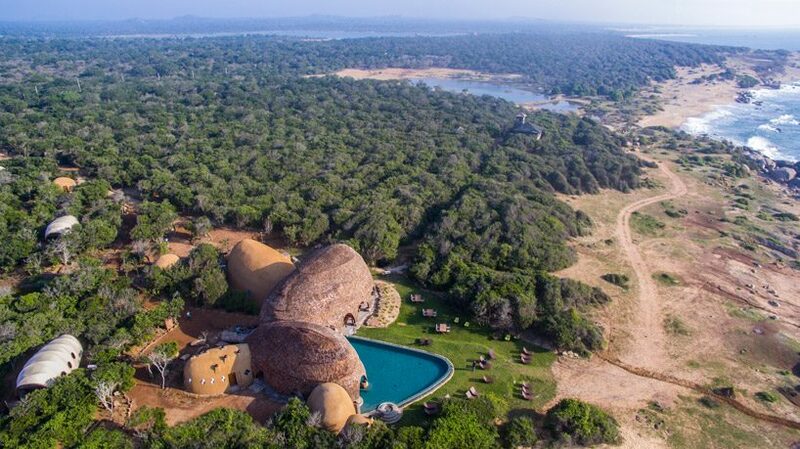 the five-star nomadic resorts and bo reudler studio-designed lodge is designed to give visitors an intimate experience of yala, celebrating the flora, fauna and culture of the area with minimal intrusion on the landscape. 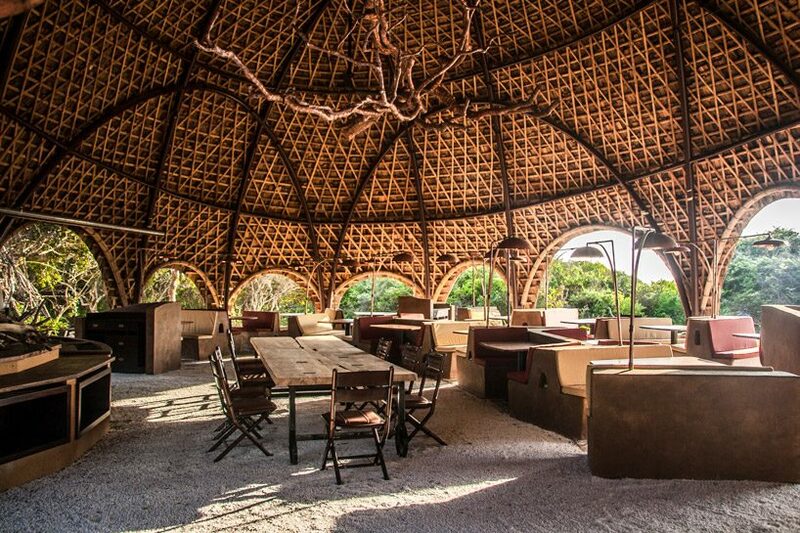 local influences form an integral part of the project, from vernacular traditions and materials to community involvement. 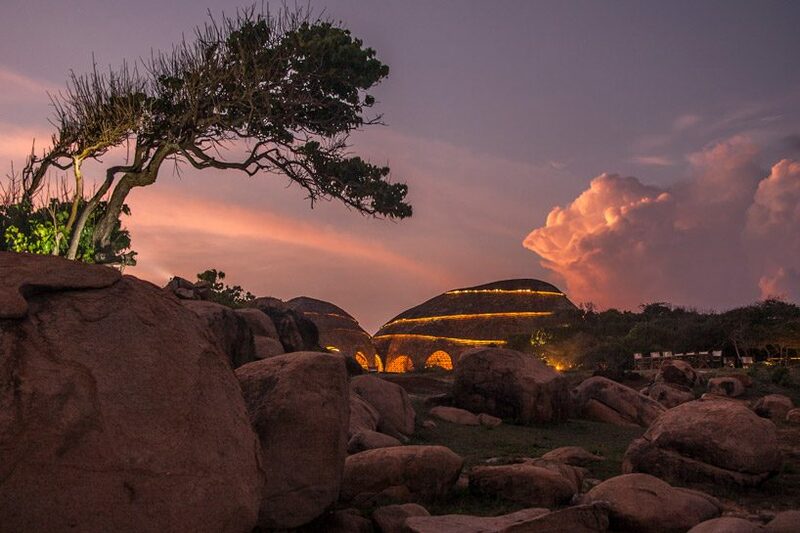 the architecture references natural formations in yala’s landscape, namely the massive rounded boulders scattered throughout the park, at a macro scale, and termite mounds, at a micro scale. adopting a human scale in between, the camp’s main buildings appear as outcrops of boulder-like pavilions clustered organically together at either end of the site. 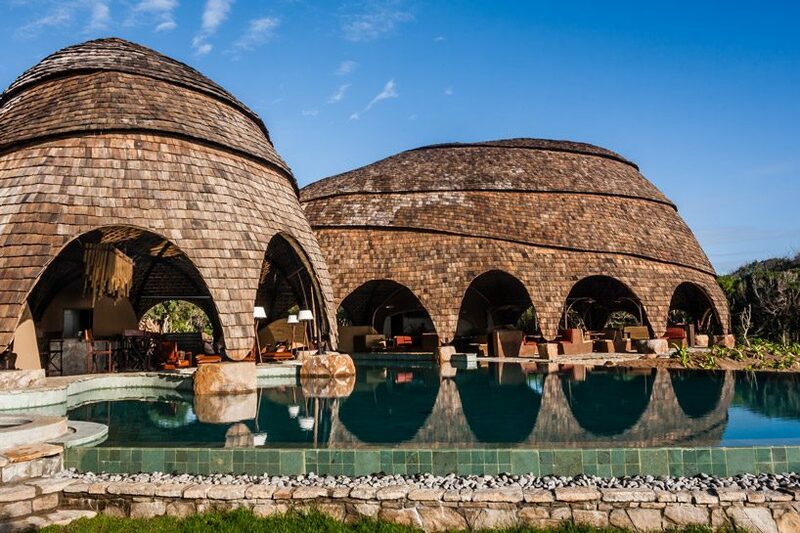 larger open volumes intersect with smaller enclosed domes that house more private functions. connecting the welcome area at the entrance with the waterfront bar, restaurant and library is a meandering natural landscape lined with clusters of cocoon-like tensile membrane structures called loopers. 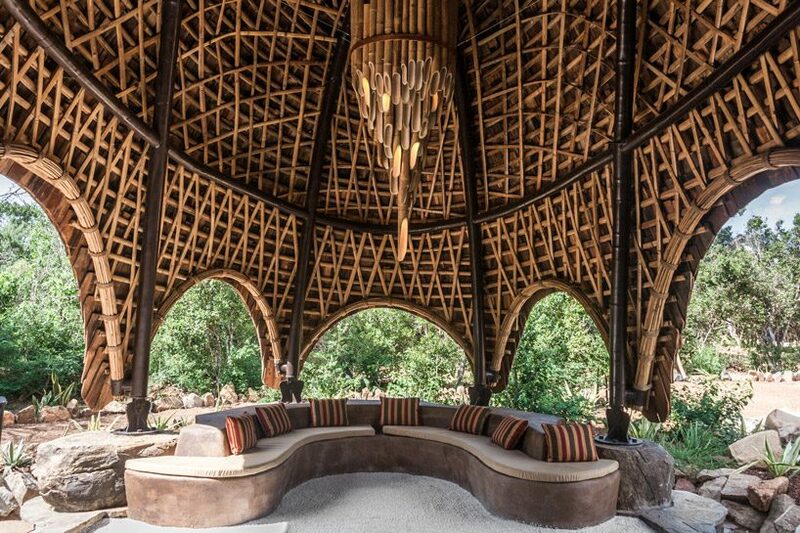 resembling a leopard paw print, each cluster overlooks a watering hole designed to attract wildlife. the spa is set back from the beachfront. 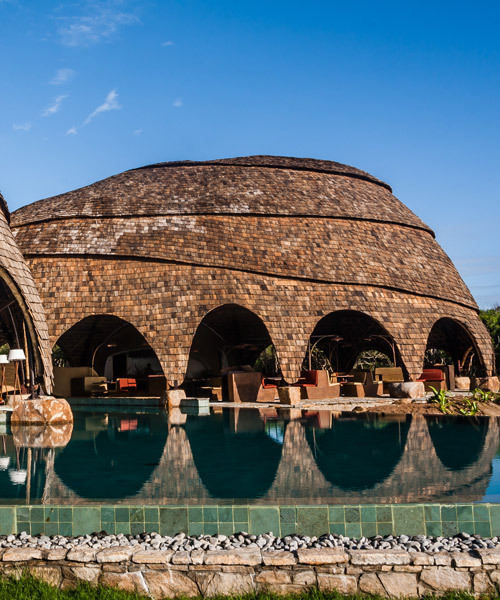 from afar, the large pavilions appear solid but on closer inspection, they’re revealed as light, open structures crafted from a woven grid shell bamboo structure clad in reclaimed teak shingles. large, arched openings and high vaulted ceilings create a strong sense of space. the existing vegetation is retained to ensure an authentic experience of the landscape, complemented by an attractive xeriscape of spiky plants and elegant rock balance sculptures by adrian gray. the interior recalls the treasures concealed within such as caves, crystals and veins of precious minerals. capturing a sense of discovery, adventure and enchantment, the interior combines ecological luxury and local elegance with a contemporary edge. echoing the context of the site, local materials such as stone, quartz and mud brick are paired with a rich palette of copper, brass, terrazzo, wood, bamboo and textiles, with a strong focus on high quality materials that age gracefully. campaign furniture evokes an era of discovery and adventure. 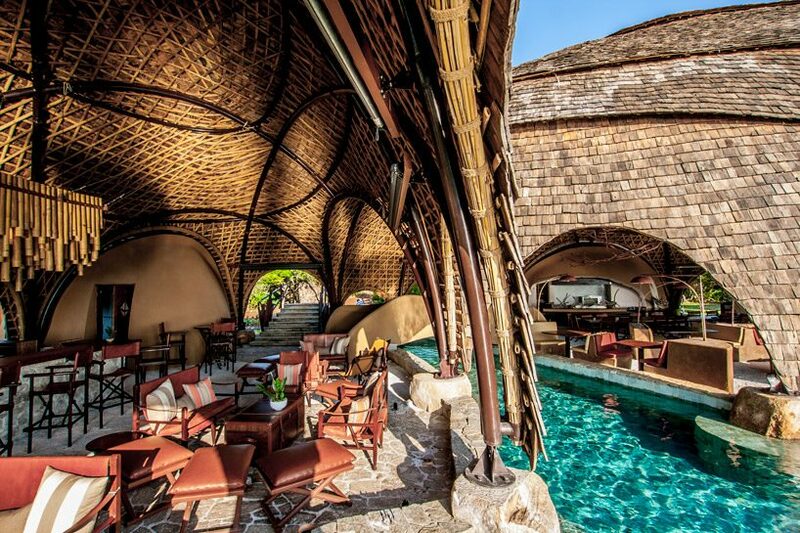 highlights include the swimming pool that flows through the restaurant and bar and twinkles like the night sky, an illuminated copper-leaf tree suspended in the 10m-high bamboo dome of the restaurant, mud brick seating installations and bamboo chandeliers that punctuate the main spaces. total floor area: 5250 m2.